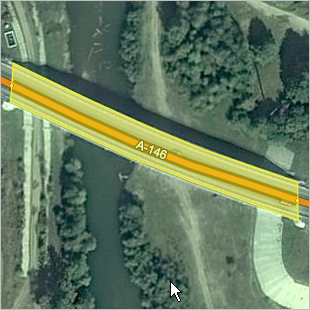 The objects of the category “Road structures” the map includes bridges (including pedestrian ones), underground and above-ground pedestrian crossings, tunnels, and squares (including ones with their own names). 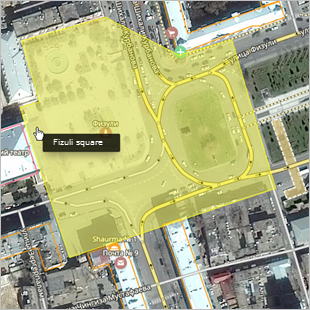 This also includes squares within localities that are intended for public events, are paved, and have a defined territory. 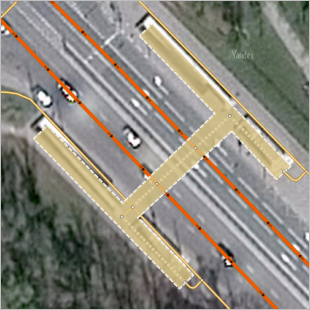 Draw road infrastructure items consistently, using polygons to represent structures. Enter bridge borders at the points when the bridge “rises off the ground”. 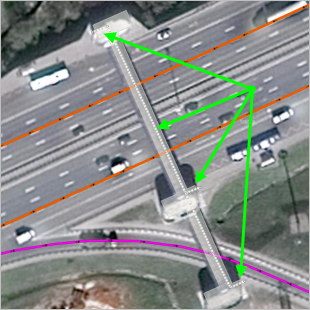 Don't include the embankment in the polygon that represents the structure. 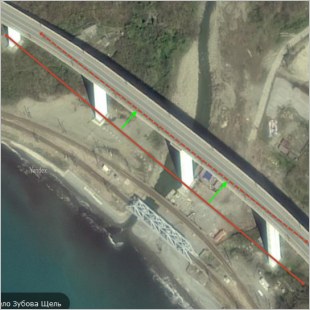 Road structures intended to provide a passage over bodies of water and consisting of pipes and embankment “should not” be categorized as “Bridges” or Tunnels. 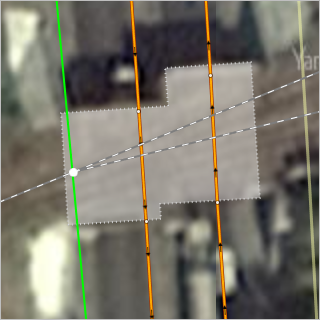 The shape of polygons should match that of the actual structure; diagrams are not allowed. 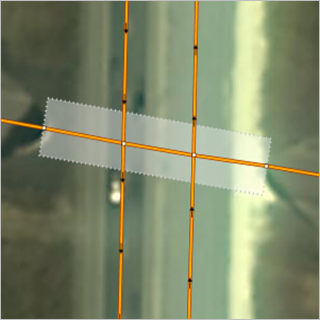 Items in the “Road construction” category are drawn and edited using the techniques described in Section 2.7.3. Simple polygonal items. 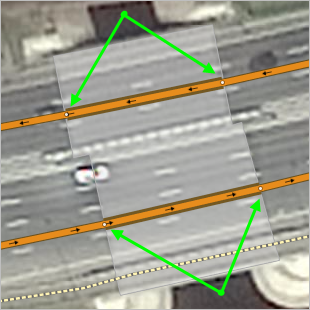 When drawing bridges and above-ground pedestrian crossings, attention should be paid to the possible displacement in the satellite image of the bridge surface or passage crossing from its actual position that can be attributed to its elevation above the surface (see Section 2.3.1.4. Bridges). 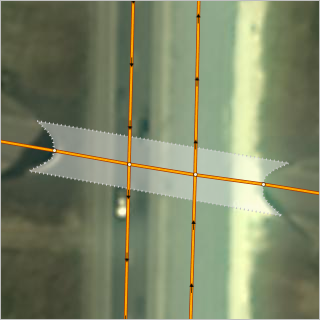 When drawing bridge polygons, try to align their borders with the road sections that go over the bridge. 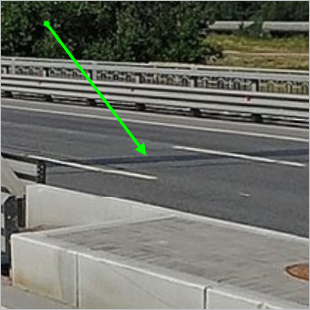 The bridge borders that run perpendicular to the traffic lanes should be placed at the beginning and ending points of the road section that runs over the bridge. 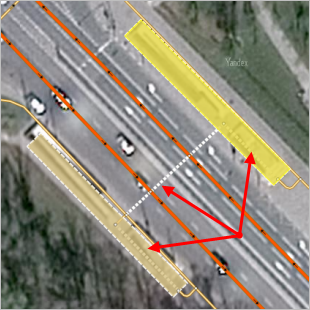 When drawing polygons of underground and aboveground pedestrian crosswalks, keep in mind that they should match up with the road sections that are marked as Pedestrian Crosswalks, as well as with the Pedestrian and bike paths class. 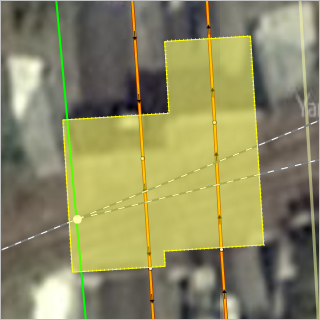 Such polygons should also have Level A and B values that correspond with the item type (“+1” for aboveground and “-1” for underground crosswalks). 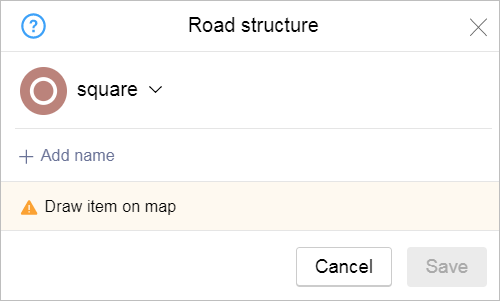 If there is a named “square”, and nothing remains of that road structure but there are addresses linked to that square that are located along a named road of class 7 or higher, than enter the square name for that road (as a “street in locality” type) and don't duplicate it as a road structure. Road construction items are named in accordance with the general rules. See 3.1.3. Map item naming rules. Rules for formation of names of road constructions are identical to the rules of formation of names of roads, see section 3.3.3.3.1. Rules for the generation of road names). 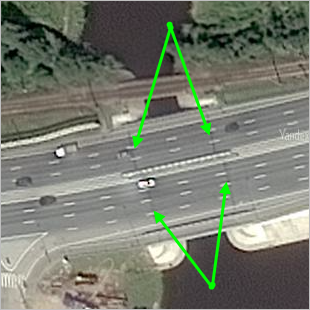 If a bridge or tunnel has a proper name, then enter it for the “road structure” as well as for the section of road that passes over it (see also point 3.3.3.2.3). Road structures may not have names.